UFC heavyweight champion Daniel Cormier continues to campaign hard for a fight against Brock Lesnar. 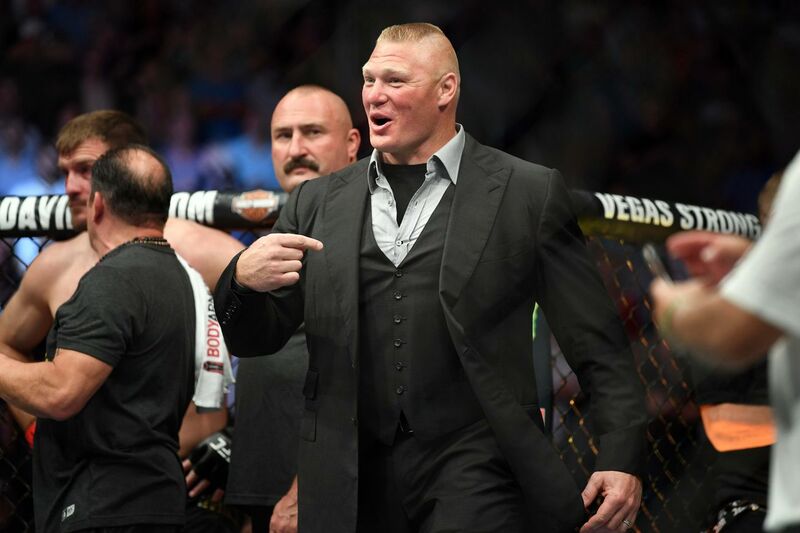 Lesnar has since returned to the WWE, but remains in the crosshairs of current UFC heavyweights. Among them is reigning champion Daniel Cormier, who has been campaigning for a fight since he won the title from Stipe Miocic at UFC 226 last year. In a brief interview with TMZ Sports, “DC” once again stated his case. Lesnar recently lost the WWE Universal championship to Seth Rollins at Wrestlemania 34 over the weekend, which Cormier celebrated a bit. Still poking fun at that loss, the champion sent another mocking message to Lesnar. “Lick those wounds because I got some brand new ones waiting for you,” Cormier said with a laugh. Cormier also sent a message to the UFC brass, specifically to company president Dana White. The UFC is reportedly planning to book Cormier vs. Lesnar some time in August, but no contracts have been signed just yet.